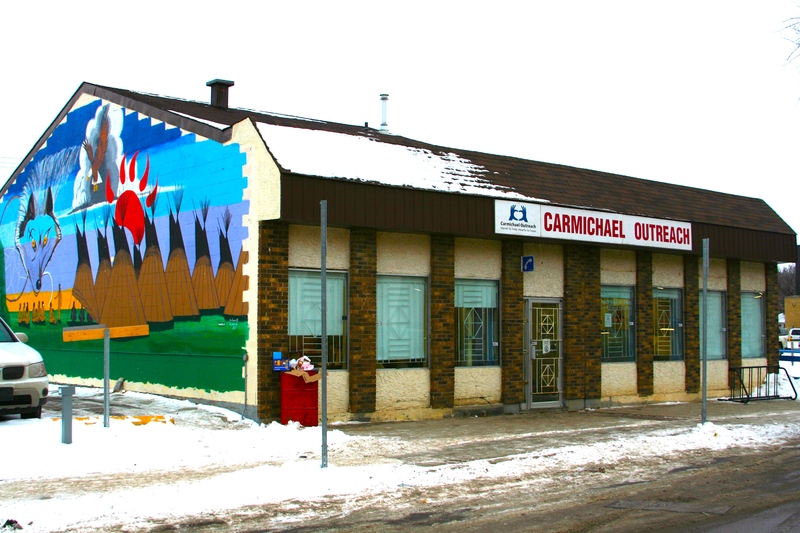 Carmichael Outreach is a unique community unlike any other within the city of Regina. Community members, occasionally referred to in the pejorative as ‘clients’, use Carmichael for its services and programs, which are often as unique as the community itself. Community members also come to Carmichael for a sense of dignity, belonging, friendship, and community. Where most people find this in their own homes, Carmichael community members make their own family, and use the coffee room as their living room. I have experienced no greater example of belonging, dignity and respect. The reasons a place like Carmichael has to exist is complex and longterm. Poverty, addiction, mental illness, abuse are complicated human issues that will never be solved by the harm reduction programs run out of a small, dilapidated building with an overrun staff. But the decisions that that individuals and organizations make that cause these issues are clear, and as a non-profit, very avoidable. The systems of capitalism and colonialism are the root cause of the issues that tax the lives of the Carmichael community members. Capitalism is the economic model used by Canada’s colonial past and present. This economic system not only took over Indigenous land for the sake of giving land for new homesteads, but has played the largest role in the destruction of the traditions and governing systems for the fact that capitalism cannot exist in the presence of other traditions. The traditions and governance of Indigenous peoples are the polar opposite of capitalism, which is why colonialism had no choice but to assimilate and exterminate. As a community-based organization, Carmichael has the distinct opportunity to stray from its current model of governance, that is, treating the non-profit as it were a multimillion dollar company, and to treat it like the living, breathing community that it is. Top-down, hierarchal decision making has worked superficially in the past and works in other contexts, but running Carmichael in such a manner only perpetuates the reasons Carmichael has to exist in the first place. Decisions, economic and otherwise, made for a community’s well-being without direct involvement or even simple consultation of that community, will be uninformed and detrimental to healthy functioning. 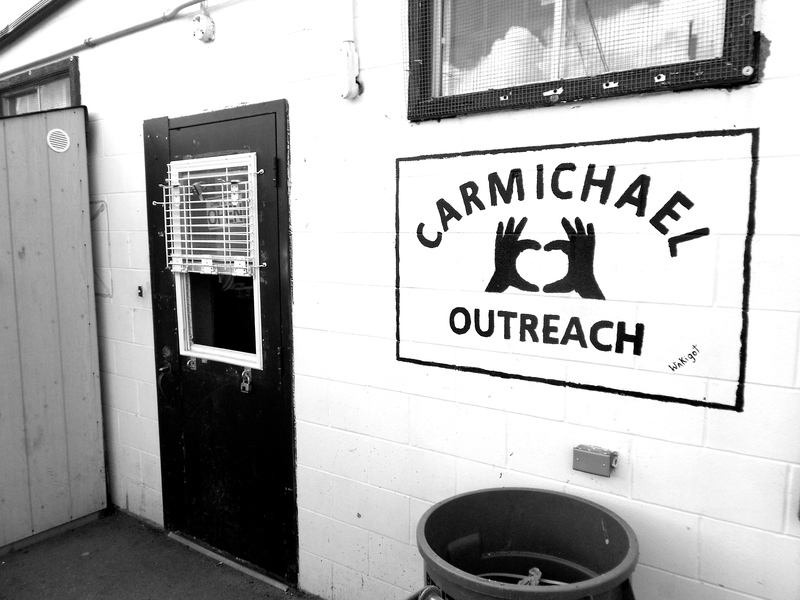 A shift to a more communicative, cooperative model of governance, still based in the Canadian laws for charitable organizations, would greatly benefit an agency like Carmichael Outreach. Board members offer a unique outside community perspective with business and executive expertise, while staff bring a frontline, community-member voice imperative to the balanced and equal decision-making to ensure that the customary neocolonial top-down approach of running an organization doesn’t take hold. Carmichael community-member input, more than once a year in patronizing AGM meetings, is imperative to the inclusion of the most important demographic; the service-user. To expect the opinions, ideas, plans, and dreams of hundreds of community-members and dozens of staff members to be filtered through a single Executive Director position is not only ineffective and impossible, it is unfair to charge the Executive Director with such an overwhelming task. Communal decision-making ensures a transparent, efficient, and effective process, and one that could slowly be transitioned into simply by allowing a Carmichael staff member to participate in the board meetings each month. Such a change would bring board members into a far greater understanding of daily operations at Carmichael, and would give staff members a clearer understanding of the necessity of process in an organization of this size. This transition could be complete with running Carmichael as a cooperative community movement that includes people of all backgrounds, incomes, and visions together in one common goal of continuing the important community work at which Carmichael already succeeds. Community requires such social mix, and a community organization’s healthy functioning is no different. Greater communication between stakeholders of Carmichael Outreach can only improve the future strength and effectiveness of such a community. I ask that you please consider a more cooperative and communicative approach to the operations of such a strong and critical community in Regina as it would be a disservice to the service-users to run it in any other way. I have not, and likely will never again, work in a place such as Carmichael, and I know its potential far outweighs its current impact, which is a significant statement considering Carmichael’s influential past and present. Please consider decolonizing Carmichael’s governance and shift to inclusive and cooperative styles of governanace that truly can benefit such a distinct community. Thank you for allowing me to be a part of this organization.